The end (of 2015) is nigh. 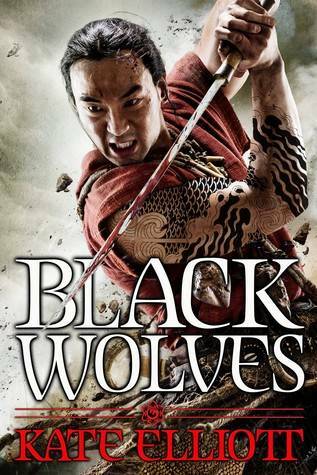 About a week ago I finished Kate Elliott’s Black Wolves, a book that I’ve recommended to nearly everyone who can even remotely stomach a fantasy novel. It’s fantastic and brave and stunning. As I basked in the post-great book glow, I came to a realization that most readers of fantasy, high and low, epic and mundane, have arrived at already: 2015 has been a fantastic year for the fantasy novel. Of course, it’s also been a tumultuous year for the business and fan-centric structures that surround the work. It’s been a year of change, and, while I can’t pinpoint the exact reason why we as readers have been blessed with such fantastic work this year, I’m not one to complain. 2015 has been a year of fearless, groundbreaking, loving, thoughtful fantasy by authors who were committed to creating fearless work, deconstructing and reconstructing old, tired stories, and thinking about the fantasy genre in fantastically imaginative ways–much to the chagrin of fans who do not appreciate proposed changes. I began the year by losing myself in the ghostly, living Brooklyn of Daniel José Older’s Half-Resurrection Blues as seen through the eyes of his half-dead protagonist, Carlos Delacruz. A few months later, Older’s widely celebrated YA novel Shadowshaper would be released. 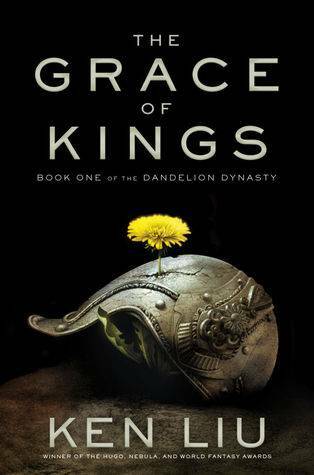 I lived with Half-Resurrection Blues for a while before moving on to Ken Liu’s The Grace of Kings. I am a fan of the standard trappings of fantasy, to be completely honest. The presence of farm girls, heroes chosen by destiny and great, sweeping evils take me right back to my childhood escapism. However, I am also a great fan of history and politics, and I love to encounter those in my fiction as well. The Grace of Kings was a spiraling epic that delved deep into the history of the characters (Kuni Garu is a favorite of mine, though I always have a soft spot for invincible warriors) and the lands that they fought to liberate, and later, conquer. The combination of old and new here, blown up to an epic scale, took my breath away. Max Gladstone’s Last First Snow was next for me. I tore through the previous books in his Craft Sequence, loving his intricate and complex capitalistic systems of magic, religion, and deities. His characters were always a delight, and in Last First Snow we got to kick it with Elayne Kevarian and the King in Red again, to undo the haphazard developments caused by the remnants of dead gods. N.K. Jemisin’s The Fifth Season was next on the list for me, and it did not disappoint. The Fifth Season is on all of the best of lists for a reason. Jemisin’s world is harsh, her characters are appropriately lovable or hate-able, and she does brave things with magic, science, people, and relationships. I can truly say that I’ve not read anything like The Fifth Season before, and I cannot wait for The Obelisk Gate. From The Fifth Season I moved on the second book of Kameron Hurley’s Worldbreaker Saga, Empire Ascendant. As before, smart, brave characters flourish in Hurley’s unforgiving world. Things become more critical with Oma’s ascension, as invaders push and the fires of war spread across the world. Everything that I loved about the first book is still around, and Hurley yet challenges every preconceived notion that I, and surely other readers, have about what a fantasy novel is supposed to do and look like. I finished the year with a book that I absolutely adored: Kate Elliott’s Black Wolves. Elliott’s novel pushed all of my buttons: realistic kingdoms, complex heroines of various ages, a fully realized world steeped in politically motivated characters, deep, fulfilling relationships of both traditional and non-traditional varieties, and cute beasties in the form of giant eagles. But that line does it little justice. Black Wolves, like every other book on this list, is a masterwork of the fantasy genre, and proof that fantasy is moving forward in brave and exciting ways. I’m all hooked in and ready for the ride.